A historic County Durham building, transformed into a thriving business centre, has marked its second birthday by welcoming two new tenants and reaching full capacity. Julie Twist Counselling and Andrea Irving-Morse Associates Ltd have moved into the Manor House in the centre of Sedgefield, bringing the total number of companies based in the building up to 13, occupying 6,000 sq ft of office space in the 18th Century building. The two companies have leased offices opposite each other. The Manor House is located in the heart of Sedgefield and was transformed into a thriving business centre following a change in ownership late in 2014. The Grade II listed building is owned and managed by Manor House 1707 Ltd, a local enterprise that is run by business partners Ean Parsons and Ian Philipson, and has a variety of office accommodation, along with meeting and events space, including the Old Court Room on the ground floor which is now being utilised for weddings, live music nights, parties and community events. The building has been sympathetically refurbished and redecorated and retains many original features. It has been adapted for business use, with a full range of modern facilities, including access to superfast fibre broadband, and off road parking for tenants and visitors. Julie Twist Counselling, a private practice providing professional counselling, personal and professional development and clinical supervision to individuals dealing with a variety of issues and concerns, is the latest business to move into the Manor House. Julie has a Master of Arts degree in counselling and has experience working within GP surgeries, charitable organisations, women’s refuges, the private sector and the public sector. She set up her private practice in 2011 and chose to move into the Manor House because of its easily accessible location in the region and the two ideally sized meeting rooms in the building, which will allow Julie to facilitate group sessions and to deliver bespoke workshops to businesses and organisations as part of her plans to extend the business. Andrea Irving-Morse Associates Ltd is another recent addition to the Manor House. The practice, which boasts over 20 years’ experience within the financial planning industry, offers a holistic financial planning services to individuals and businesses. 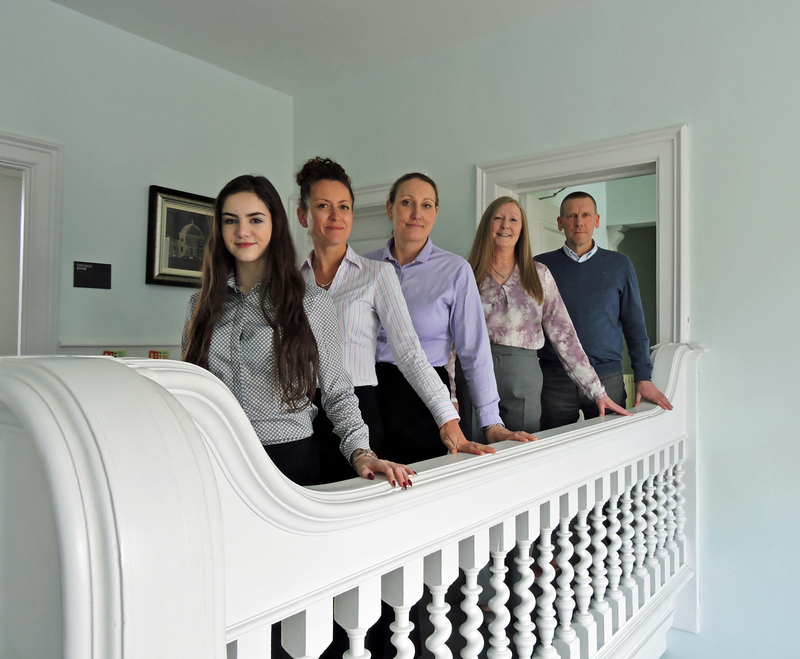 The team in the Manor House comprises two financial planners, Andrea Irving Morse, a Fellow of the Personal Finance Society and Caroline McCulloch, a mortgage, equity release and long term care specialist, and Alisha Howell-Priestman, who provides administration support. It deals with all aspects of financial advice including mortgages, investment planning, equity release, powers of attorney, probate and inheritance tax planning. The Manor House was chosen for its central location, ideal for servicing over 280 clients across the North East, and to support the expansion of the business’ support team.